The town has a Moot Hall (or court house) at the end of the main street. The building there now dates from 1813. It cost trustees of the Royal Greenwich Hospital nearly £1,200 when they took it over after the 1715 Jacobite rebellion. The grade two listed building on Market Square now belongs to the Battersby Hall Charity. Visitors will find the town’s Tourist Information Centre is in the Moot Hall. In the 1820s the lower floor was as a market selling meal, butter, eggs and poultry. Upstairs, the Moot Hall was a court house. Here the Lords of the Manor, the governors of Greenwich Hospital, decided on claims and arguments over land and tenure. By 1840, the hall housed Flintoft’s Model, which you can see today at the Fitz Park Museum. Dating from 1837 the Model is on a scale of three inches to the mile and shows all the main features of the Lake District. The Theatre by the Lake, opened in 1999 close to Derwentwater on the edge of Keswick, in western fells of the Lake District. It has two stages and presents up to nine of its own productions a year. The Theatre is open 52 weeks a year and is host to a variety of festivals and events. The Alhambra, one of Britain’s oldest cinemas. A small family owned business the Cinema has comfy seats and free coffee. And reviews say the production is as good as anywhere. Keswick Museum and Art Gallery was founded in 1873 by the Keswick Literary & Scientific Society. The museum has undergone recent renovation and extension, and re-opened in 2014. Just a few minutes walk from the town centre is the Derwent Pencil Museum Here you can learn fascinating facts about the development of ‘lead’ pencils. The industry grew here following the discovery of graphite or ‘wad’, as it’s locally known, in Borrowdale Valley in the C15th. During the Second World War pencils were adapted to hold a tiny rolled up map of escape routes from Germany. With a coach park adjacent to the museum – one of three in the town – it’s a convenient place for groups to park for the town visit. At the heart of what is now a UNESCO World Heritage Site Keswick, is a welcoming market town with both independent shops and national chains. Many shops have an outdoor pursuit theme – and numerous dog-friendly pubs. 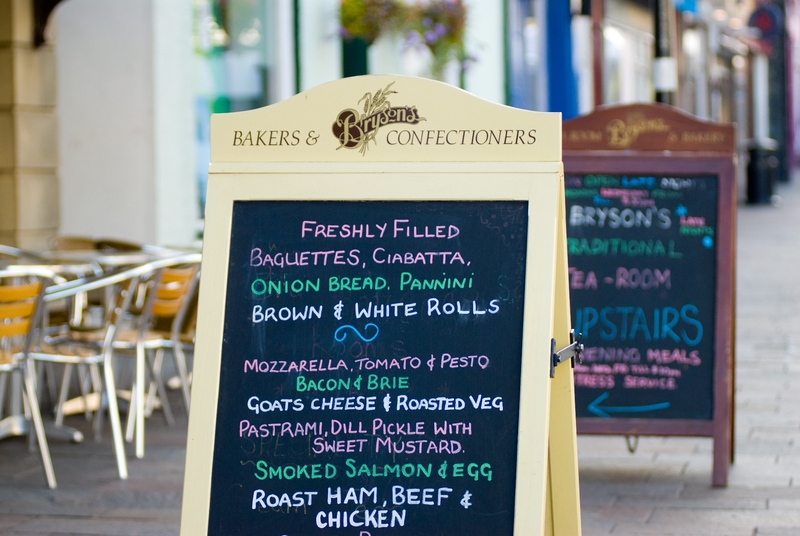 Popular Bryson’s of Keswick is a craft bakery dating back 70 years. It serves traditionally made breads and cakes to eat in or take away. The extensive Saturday market with around 60 market stalls sells a broad range of Lakeland goods. The Park is the town’s largest open space. It is a few minutes walk from the town centre beside the river Greta. There is a fantastic play area in the Lower Park and plenty of sand for the very young to play in. There are also generous spaces for ball games or generally just running about. There’s a state of the art BMX track to the rear of the Football Pavilion. Upper Fitz Park is more formal with gardens and an arboretum. There’s also an 18 hole putting green, and facility for bowls and croquet. Keswick Market © Dave Willis www.golakes.co.uk. Samuel Taylor Coleridge became friends with Southey in Oxford in 1794, their wives, Sara and Edith, were sisters. In 1797, Coleridge walked to Racedown in Dorset where he met and befriended William and Dorothy Wordsworth. For many years, until family affairs separated them, Coleridge and the Wordsworths lived and worked closely. They had a creative bond based on their mutual love of hill-walking, poetry and politics. Robert Southey, spent the latter half of his life in the Lake District. William Wordsworth lived from 1799 – 1808 with his sister Dorothy in Dove Cottage at Grasmere. In 1802 he married Mary Hutchinson, an infant-school friend, and they had five children. Coleridge had an affair with Mary’s sister, Sara. In 1813 Wordsworth moved to Rydal Mount, Ambleside, where he lived out his life. In the same year he took office as stamp distributor for Westmoreland, which earned him £400 a year. Much of his work was inspired by his love of travel and the countryside. Canon Hardwicke Rawnsley was vicar at nearby Crosthwaite and one of the founders of the National Trust. The Trust is a charity which protects historic places and spaces, and art collections. It owns or has control over about a quarter of the Lake District. Rawnsley dedicated himself to protecting and preserving the countryside. He campaigned with others against the opening of a railway line to carry slate from quarries at Buttermere. This would have spoiled the unspoiled valleys in its path. The success of the campaign led to them forming the Lake District Defence Society. In time, Rawnsley’s ideas for protecting the natural assets became The National Trust. 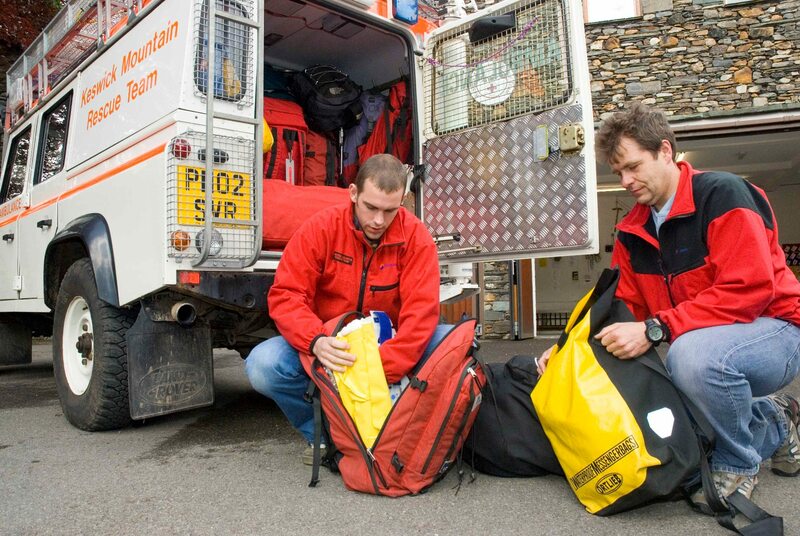 Keswick Mountain Rescue © Dave Willis www.golakes.co.uk. 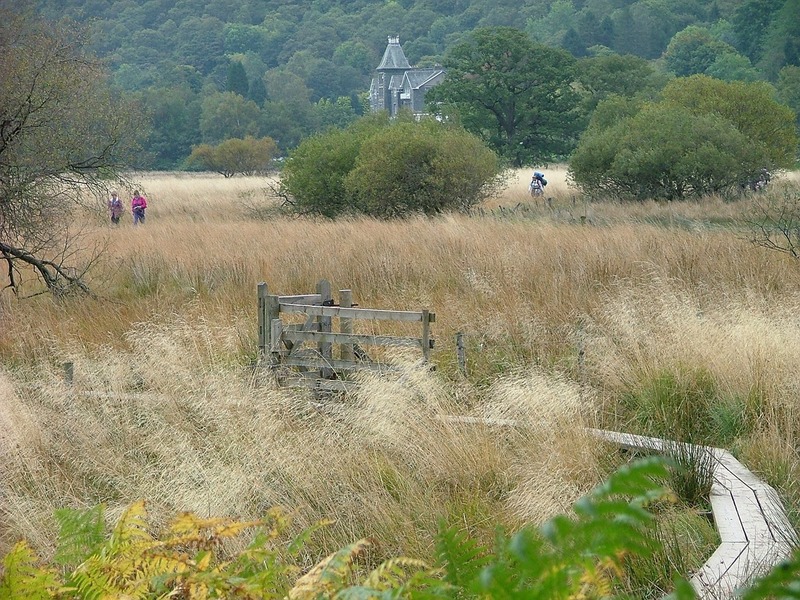 Walkers might like to explore part of the 10-mile Derwentwater Walk at the Grange village end of the lake. The views of the surrounding mountains and fells are spectacular. This is where Beatrix Potter wrote the Tale of Squirrel Nutkin. On the route is the sculpture Entrust, commissioned to mark the centenary of the National Trust’s care of the woods of Brandelhow. Lake walks can be adjusted in length to suit your group. Take advantage of the Keswick Launch, which has six landing stages around the lake. It runs daily (weather permitting) from March to November.